Even though our stylists tell us NOT to wash our hair every day to keep it optimum shape, it becomes more difficult during the summer months to abide by that rule. The heat, sweat, grease and grime weigh our locks down and we feel the need to wash it every chance we get! Dry shampoos are a great option to help fight the urge to wash and are also great for when you are in a hurry and don’t have the time to wash, dry and style. They can be a quick fix to add some life to otherwise oily and limp hair. While marketing and sales of dry shampoo products are at an all-time high right now, they are not a new concept. The earliest forms of dry shampoos date as far back the Victorian age when women would dust arrowroot-power in their hair to absorb the oils. Natural ingredients like cornstarch and oatmeal have also been utilized as a cleaning alternative over the centuries. The first commercially available dry shampoos were available in the 60s and 70s. Dry shampoos have come a long way from white, chalky powders. Today’s products come in fine powders and mists and some are even colored to blend in better with your hair. We did some hard research to find some of the most popular and highest-rated dry shampoos on the market today and here they are in no particular order! Batiste Dry Shampoo has been a tried and true dry shampoo product since the 1970s. It is one of the most affordable dry shampoos out there coming in around $10 for a full size bottle, and is also available in convenient travel sizes. There are three scents to choose from and you can even get a spray version of the original dry shampoo product. Great bang for your buck! Bumble and Bumble Hair Powder is a great dry shampoo option for colored hair. It comes in five colors – white, blonde, red, brown and black. Even though Bumble and Bumble products can be a little pricey, they are a trusted brand and can often be found places like Amazon.com for smaller price than at your typical beauty store. Tresseme Waterless Foam Shampoo can be a great option for ladies and gents that rock a head full of curls. 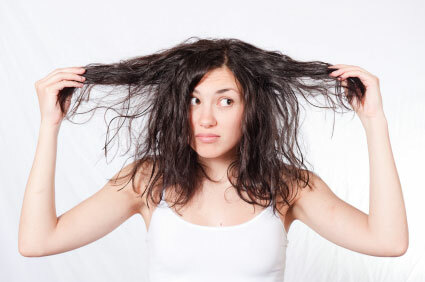 Not only is it inexpensive and easy to find, but it doesn’t need to be brushed through your hair. Your curls can remain in place with added softness and volume. Klorane Gentle Dry Shampoo is THE option for folks with sensitive skin or those simply wanting a product made of all natural ingredients. This product is made with oat milk which is gentler on the scalp than other dry shampoo options. Klorane is moderately priced at approximately $15 a bottle and is available in travel sizes as well. It can be difficult to find in stores so online shopping is likely your best option. Oscar Blandi Pronto Dry Shampoo is one of the most popular and well-recognized dry shampoos on the market today. At around $15 a bottle, you get a great deal because a little of this product goes a long way. All it takes is a little rubbing in at the roots and you are ready to go! It is available in a spray as well but that option doesn’t seem to be near as popular. This shampoo is conveniently available in travel sizes too. Erdem Front Row Dry Shampoo is ALL the rave in the UK. In addition to absorbing grease, it gives limp, dirty hair a big volume boost. One popular UK style website suggests using a hairdryer on a cool setting and tipping the head upside down while applying the product to dry hair for optimal results. Schwarzkopf Osis Dust It is another dry shampoo that has high ratings in adding volume to dirty hair. This product is especially great for those with fine hair as it has a matte finish and adds super volume to otherwise limp hair. A little of this product goes a long way as well and at approximately $20 bottle, you can’t beat it! Please keep in mind that all of these products are unique and work differently for different heads of hair. Experiment until you find the dry shampoo that you like best and feel free to comment and add some of your favs to our list! Have you ever tried a dry shampoo? If so, which one is your favorite?